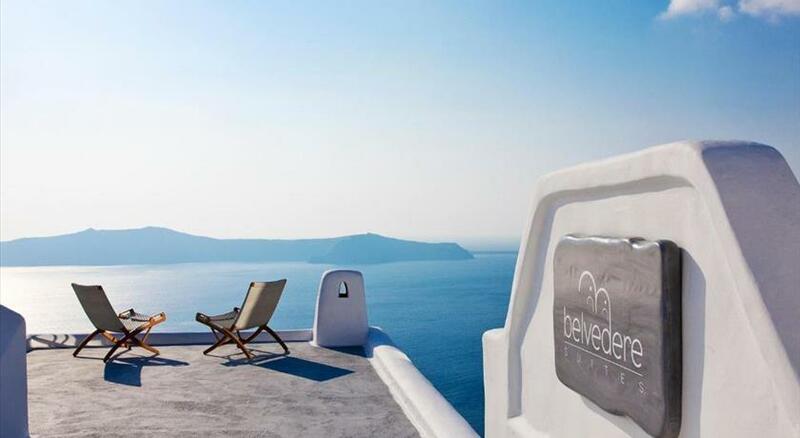 Mirabo Villas is located on a cliff in Firostefani and overlooks the Aegean Sea. 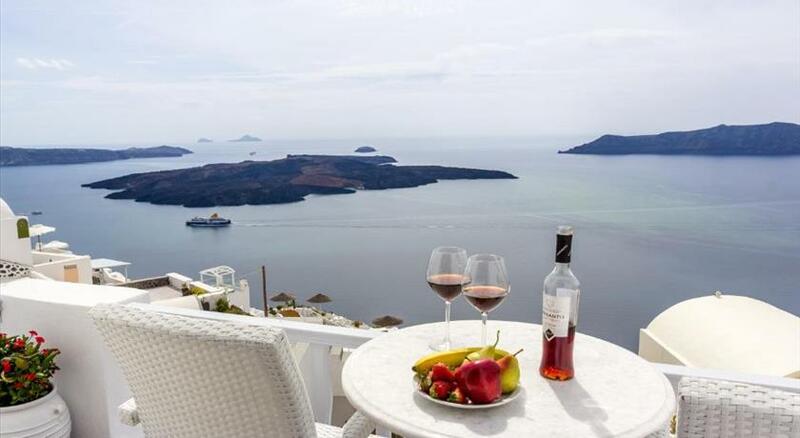 It offers self-catering accommodation s with furnished balconies and panoramic views of the sea and Fira Caldera . 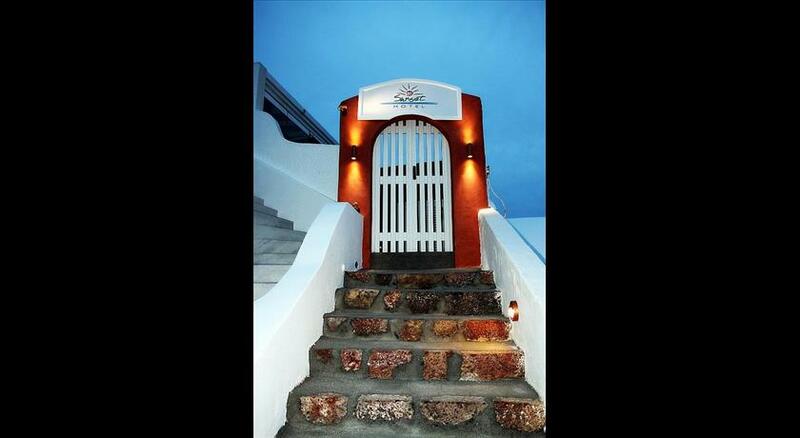 Hotel Mirabo offers air-conditioned suites, studios and apartments. Each unit includes modern furnishings and traditional architectural details. They come equipped with free Wi-Fi, a kitchenette and LCD TV with satellite channels. The Mirabo Villas is a 15-minute drive from Thira Airport. Nearby leisure activities include wine tasting, diving and sailing. Staff at the front desk can provide information on the island of Santorini . Free public parking is possible at a location nearby. Please inform Mirabo Villas in advance of your expected arrival time. You can use the Special Requests box when booking, or contact the property directly with the contact details provided in your confirmation. Please note that the hotel requires the clients' email address to contact them for requests, transfers or lost items. Kindly note that Mirabo Villas has a limited hours reception service, thus guests will be provided with a cell phone in order to reach the manager 24/7. Please note that the credit card used for the reservation must be presented upon arrival by the owner.